Paddy's Day is around the corner...!!! Both our shops in Kilcullen (normal hrs) and Dalkey (10 to 5pm) will be open on the day-don't forget that there is a parade in Kilcullen this year!! We will be doing a full range of cakes for the day, check out Twitter and Facebook for a sneaky peek at whats baking! After that it's already Easter...! 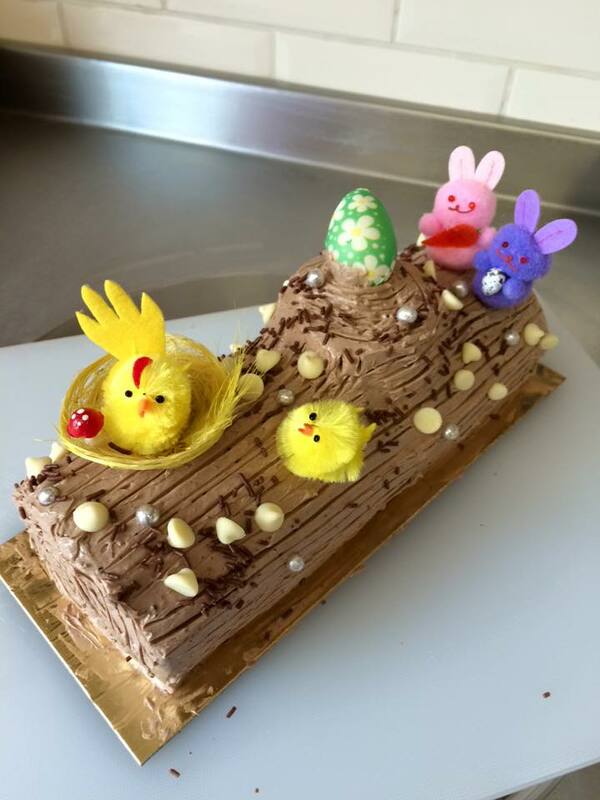 Rolled sponge with French Buttercream and Easter decorations.